How to find the location of the Anarchy Acres Treasure Map in Fortnite: Battle Royale, then solve the clues to claim your reward. 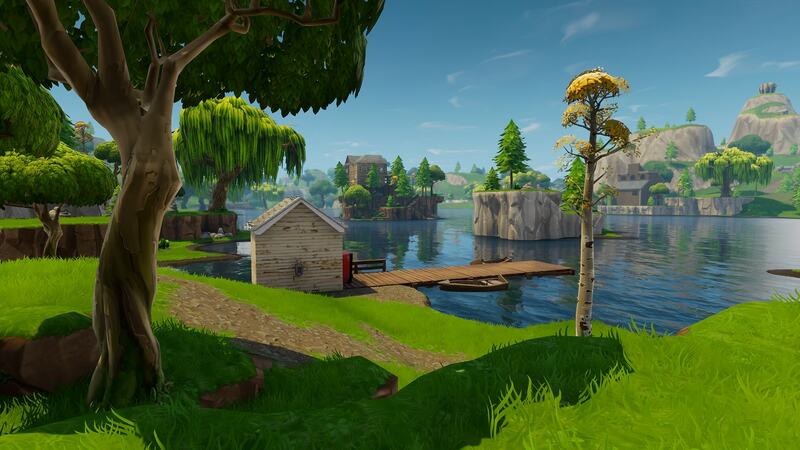 A whole new list of Weekly Challenges went live in Fortnite last Thursday, and one of the harder tasks introduced has you tracking down a Treasure Map in Anarchy Acres, then using he information displayed on it to find some treasure. The clues aren't always exactly crystal clear with these things, and so it can be tricky to pin down exactly where it is you need to head to. So it is this week! Compounding that problem even further is the small issue that absolutely every other player of the game is also trying to do the same thing. Even if you manage to suss out where you need to go, you may struggle to get your rewards before being blown to smithereens and taken out of the game prematurely. Fortunately, enough time has passed by now that you shouldn't have too much trouble finishing this one up, if you know exactly where to go. The good news on that front is that our comprehensive Anarchy Acres Treasure Map guide has you covered, from finding the clues to taking home the treasure. Read on for our essential guide to completing this week's current Treasure Map challenge! The map indicates a very distinctive looking rock that is to be found near a massive Llama, a Shrine and Junk Junction. Either head towards - or do a new drop into - this rock. 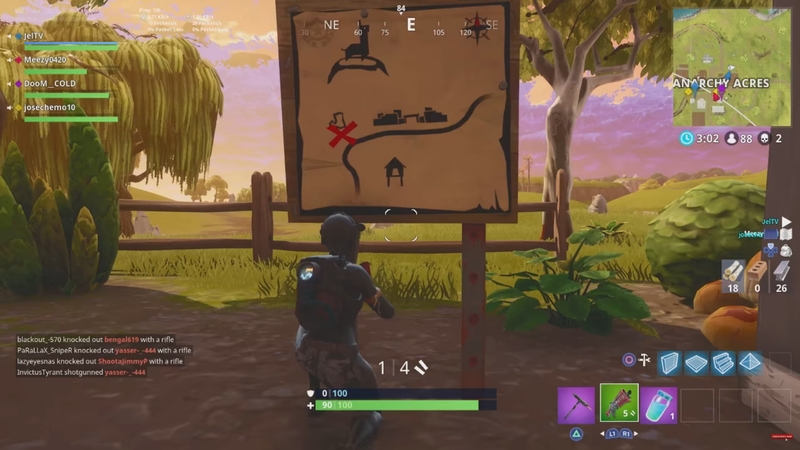 You'll be able to find it just to the west of Junk Junction along a muddy path. It's very easy to find once you know these basic details. As you approach the precise spot, the reward itself will slowly glimmer into view. Grab those Battle Stars and then get ready to either fight your way out or die trying! That's the end of of guide to finding the Anarchy Acreas treasure location this week! It’s worth noting that this location near Junk Junction may be absolutely heaving with enemy activity at this time of the week. Just watch yourself when you’re chasing this loot as you’ll probably come across many other enemies doing just the same! If you give it a few days for the initial frenzy to pass then you may find life to be a lot easier.